The now-destroyed Community Faces mural in Pittsburgh depicting artists, their relatives, and people from the community. Multiple artists created the work. Artists have brought suit in Pittsburgh and Memphis over the destruction of public murals. Both suits involve the use of blighted buildings and spaces which have come under development. As these areas character changes, or as attitudes about the public art shift, City officials and landowners have removed, distorted, or even destroyed public murals. In Memphis, as part of a 135 mural installation organized by Paint Memphis, seven murals drew the attention of Memphis City officials, and were painted over near the end of January in 2018 as part of a “miscommunication”. Memphis City Council officials say they have received complaints about some of the murals, and want to allow residents to vet the murals before they are erected in public spaces. A similar dispute involving mural artist Kyle Holbrook has taken place in Pittsburgh. Holbrook alleges that property owners, the city of Pittsburgh, Allegheny County, and others have destroyed eight of his murals on walls and buildings. Both suits use the federal moral rights law, the Visual Artists Rights Act as a basis for remedying destruction of murals and even attempting to enjoin further destruction. Ryan Poe, Artists sue Memphis for failed attempt to scrub “satanic” murals, Commercial Appeal, April 26, 2018, https://www.commercialappeal.com/story/news/government/city/2018/04/26/artists-sue-memphis-failed-attempt-scrub-satanic-murals/555788002/ (last visited May 17, 2018). Torsten Ove, Artist sues Pittsburgh, Allegheny County for destroying murals he created on their buildings, Pittsburgh Post-Gazette, April 30, 2018, http://www.post-gazette.com/ae/art-architecture/2018/04/30/Mural-artist-Pittsburgh-Kyle-Holbrook-lawsuit-federal-Allegheny-County-destruction-contract/stories/201804300177 (last visited May 17, 2018). Well the artist has been surprised to discover that the work has been reprised/plagiarized/re-celebrated/repeated. Many like me had likely assumed that the artist was repeating the project. Not so, this project was an initiative of the Houston Parks and Recreation department. They painted the same grove of trees, and another grouping, blue and green. The Houston Parks and Recreation department painted these crepe myrtles, image from March, 2018. The art project was a popular surprise to most five years ago. Though It always struck me as odd that the artist and City invited selfie hunters to an area without sidewalks, where you had to dodge unfriendly cars to get a close look. It’s Adele Dimopoulos here, Kon’s wife and business manager. We most certainly do know about the blue trees being copied by city Parks and we are in the process of addressing this through various channels. We are aware that there is a much bigger issue of copyright and IP for all artists at stake here. So sit tight and let’s see what shakes down. “It looks horrible, and it really has no relevance anymore here”. It seems mainly what Dimopoulos wants is an apology from the city, perhaps even removal of the pigment. ON the one hand I can certainly appreciate his position, but if his art was intended to bring attention to deforestation, the amount of water and harm to the trees perhaps shows he wasn’t all that interested in the environmental aspects of his projects. He really wanted individual attention as an artist. Nothing wrong with that of course, but when you have a relatively straightforward idea, that many other artists have likely had, perhaps you should be a little magnanimous when others attempt to carry forward your vision. Am I wrong, is the artist wrong? Let me know in the comments. Molly Glentzer, Artist seeing red over Houston’s “Green Trees,” Houston Chronicle (Apr. 4, 2018), https://www.chron.com/entertainment/article/Artist-seeing-red-over-city-s-Green-Trees-12802227.php. Molly Glentzer, Trees at Waugh-Memorial cloverleaf are awash in color, Houston Chronicle (Mar. 5, 2018), https://www.houstonchronicle.com/life/article/Trees-at-Waugh-Memorial-cloverleaf-are-awash-in-12729650.php. Blue Trees Houston – YouTube, https://www.youtube.com/watch?v=FHuVg9cJztQ&feature=youtu.be. Author Derek FinchamPosted on April 7, 2018 Categories Art LawTags Blue Trees, Houston, Konstantin Dimopoulos, Moral RightsLeave a comment on Tree painting, moral right or an environmental message? 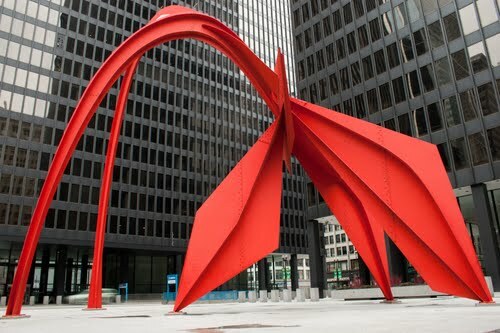 A federal court has held that the real estate developer Jerry Wolkoff is liable for intentionally destroying 45 works of art when they were whitewashed in 2013, amounting to a total award of $6.75 million dollars. The ruling comes as a bit of a surprise given the limited success of artists under the Visual Artists Rights Act in the past. Jerry Wolkoff purchased the vacant factory in the 1970s in Brooklyn after manufacturing had left the area. Graffiti artists asked him for permission to display their art on the building in the 1990s, and he agreed. 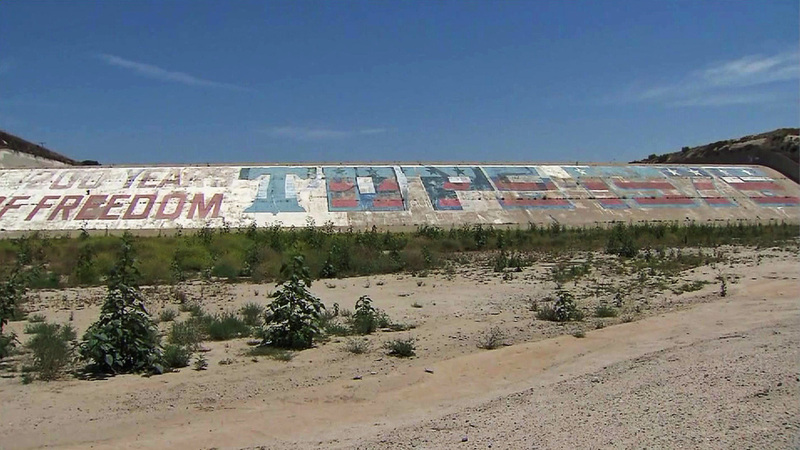 The building then became a haven for graffitie, even a renowned attraction. An artist Jonathan Cohen, otherwise known as Meres One, started acting as a curator of the space in 2002. If not for Wolkoff’s insolence, these damages would not have been assessed. 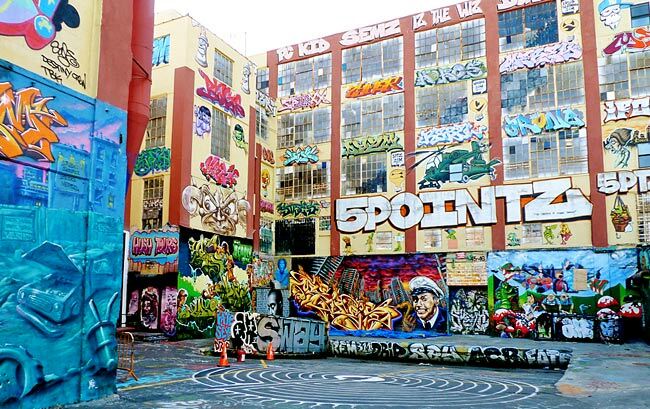 If he did not destroy 5Pointz until he received his permits and demolished it 10 months later, the Court would not have found that he had acted willfully. Given the degree of difficulty in proving actual damages, a modest amount of statutory damages would probably have been more in order. The shame of it all is that since 5Pointz was a prominent tourist attraction the public would undoubtedly have thronged to say its goodbyes during those 10 months and gaze at the formidable works of aerosol art for the last time. It would have been a wonderful tribute for the artists that they richly deserved. The ruling may be appealed, but the decision marks an important precedent for works of visual art and especially works of temporary art. Landscape art, graffiti, and other similar works may be impacted by the ruling. On one hand this ruling stands as an obvious victory for the artists themselves. But taken in the broader context, will future property developers be wary about inviting graffiti artists? Perhaps street art has become so popular and ubiquitous now, that there will not be a chilling effect of future uses of derelict buildings for graffiti exhibitions like Cohen helped create. Cohen v. G&M Realty LP, No. 13-CV-05612(FB)(RLM), 2018 BL 46284 (E.D.N.Y. Feb. 12, 2018). Voon, Claire, Judge Rules Developer Must Pay 5Pointz Graffiti Artists $6.7M [UPDATED] Hyperallergic (2018), https://hyperallergic.com/426658/judge-rules-developer-must-pay-5pointz-graffiti-artists-6-7m/ (last visited Feb 14, 2018). Emily Sullivan, New York Judge Awards $6.7 Million To 21 Graffiti Artists For Destroyed Murals NPR (2018), https://www.npr.org/sections/thetwo-way/2018/02/13/585416520/new-york-judge-awards-6-7-million-to-21-graffiti-artists-for-destroyed-murals (last visited Feb 14, 2018). Alan Feuer, Graffiti Artists Awarded $6.7 Million for Destroyed 5Pointz Murals, The New York Times, February 12, 2018, https://www.nytimes.com/2018/02/12/nyregion/5pointz-graffiti-judgment.html (last visited Feb 14, 2018). Alan Feuer reports on the opening of the jury trial brought by artists whose works were removed from the 5Pointz building back in 2013. They are seeking a remedy for the infringement of their moral rights under a federal law called the Visual Artists Rights Act. [T]hat they would hear from several art experts that the whitewashed graffiti was indeed of “recognized stature” and that Mr. Wolkoff, no matter how generous he had been with his buildings in the past, failed to give the artists the proper 90-day notice that 5Pointz was slated to come down. Mr. Baum added that his clients never wanted to sue; they wanted to save 5Pointz. But once the complex and the art had been destroyed, he said, they had only two choices: ask for money or do nothing. [A]cknowledged that 5Pointz was a “fantastic place” — one that Mr. Wolkoff helped create — but he argued that the law in question was irrelevant. “V.A.R.A. does not protect buildings,” he said. “It protects art. The case is a rare instance of a moral rights claim brought on behalf of artists which has made it to the merits before a jury. Bringing claims in federal court is an expensive proposition, and few of these cases survive the summary judgment stage. The case will be fascinating to watch unfold. Alan Feuer, At Core of 5Pointz Trial: Is Graffiti Art Protected by Law?, The New York Times, October 17, 2017, https://www.nytimes.com/2017/10/17/nyregion/at-core-of-5pointz-trial-is-graffiti-art-protected-by-law.html (last visited Oct 18, 2017). In 2015, a group of activists led by Aviva Rahmani began an artistic venture known as “Blued Trees.” They painted blue sine waves onto trees along a proposed pipeline pathway, and subsequently filed for federal copyright registration. They hoped to use copyright law and the Visual Artists Rights Act as a sword against fossil fuel companies. Although the piece was destroyed later that year as part of the pipeline construction, the “Blued Trees” movement continues. This note will discuss Rahmani’s legal theory and consider this theory’s strengths and weaknesses. This experimental protest brings forth a number of unanswered questions about the nature of copyright law. It is no secret that contemporary art forms, and the mediums involved, are becoming increasingly diverse. Therefore, this note also seeks to address the merits and limitations of current copyright law in terms of environmental and installation art. Jaya Bajaj, Art, Copyright, and Activism: Could the Intersection of Environmental Art and Copyright Law Provide a New Avenue for Activists to Protest Various Forms of Exploitation?, 15 Nw. J. Tech. & Intell. Prop. 53 (2017). Did Peter Doig paint this in 1976? Many nations assign to artists moral rights over their creations. One of the core moral rights is the right to claim or exclude works of art in your body of work. But not in the United States. NPR reports on the bizarre case involving Peter Doig and the art he’s trying to disclaim. Federal Judge To Rule On Whether Peter Doig Painted Desert Landscape, NPR.org, http://www.npr.org/2016/08/23/491024818/federal-judge-to-rule-on-whether-peter-doig-painted-desert-landscape. The U.S. Constitution gives Congress the power to grant rights to “Authors” for their “Writings.” Despite the centrality of these terms to copyright jurisprudence, neither the courts nor scholars have provided coherent theories about what makes a person an author or what makes a thing a writing. This article articulates and defends a theory of copyrightable authorship. It argues that authorship involves the intentional creation of mental effects in an audience. A writing, then, is any fixed medium capable of producing mental effects. According to this theory, copyright attaches to the original, fixed, and minimally creative form or manner in which an author creates mental effects. After setting out the theory, this article applies it to a series of current copyright disputes. My authorship theory both expands and contracts the scope of potentially copyrightable works. Some media that have previously been excluded from copyright law, such as gardens, cuisine, and tactile works, now fall within the constitutional grant of rights. By contrast, aspects of copyrightable works, including photographs, taxonomies, and computer programs, may not constitute copyrightable authorship. This theory resolves a number of current and recent copyright cases, and it offers a new approach to the emerging challenges associated with artificial intelligence, the Internet of things, and, ultimately, the impending revision of the Copyright Act. The 2015 Competition will focus on constitutional challenges to the Visual Artists Rights Act of 1990 (VARA), 17 U.S.C. § 106A, which protects visual artists’ moral rights of attribution and integrity. The problem will address both a First Amendment and a Fifth Amendment challenge to VARA. Cultural heritage law deals with our most prized possessions and often spans beyond national borders, and, inevitably, has become the subject of often contentious legal debates and policies. This dynamic and growing legal field deals with the issues that arise as our society comes to appreciate the important symbolic, historical and emotional role that cultural heritage plays in our lives. It encompasses several disparate areas: protection of archaeological sites; preservation of historic structures and the built environment; preservation of and respect for both tangible and intangible indigenous cultural heritage; the international market in art works and antiquities; and recovery of stolen art works. And Chicago must be the place to be for art and cultural heritage law this weekend, as the University of Chicago’s Neubauer Collegium will also be hosting a two-day conference titled: ‘Archaeological Looting: Realities and Possibilities for New Policy Approaches’.